While the Midwest experiences temperatures near the lowest ever recorded, US consumers are also feeling icy. 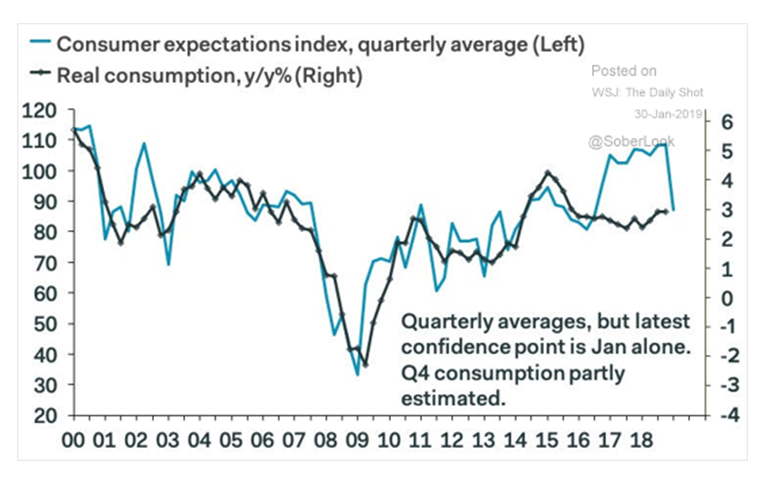 Thanks to the government shutdown and volatile markets, consumer confidence hit its lowest level since mid-2017 this month. 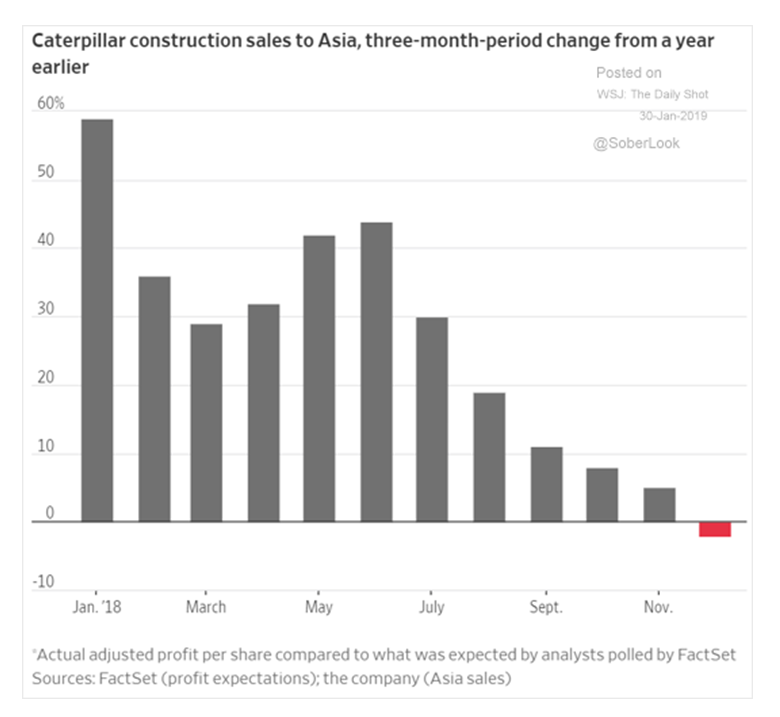 Meanwhile, the effects of the trade war are still in play as factory orders and shipping demands continue to slow. 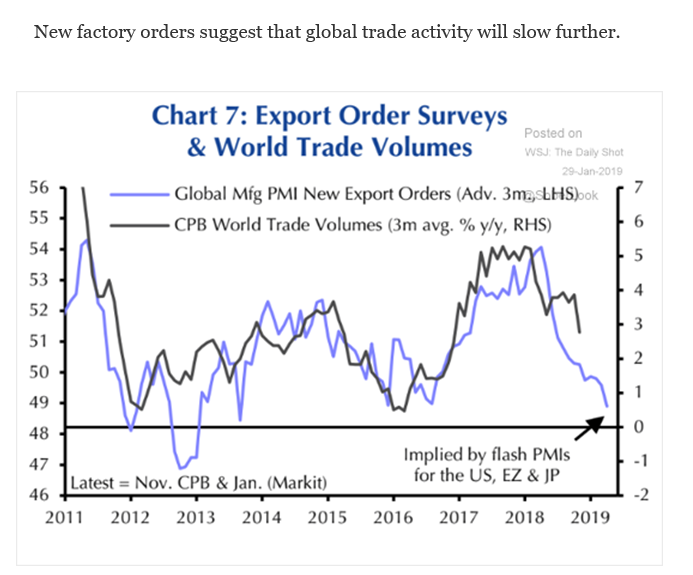 How much more suffering can global trade activity take? Lastly, a look back at 2018's asset class growth and excess returns. Can you guess what percent of asset classes were flat or negative last year? 1. 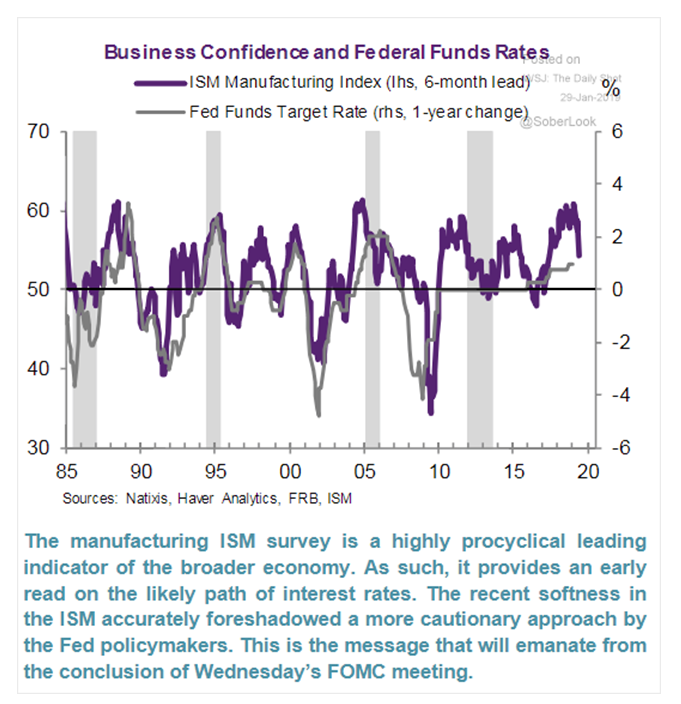 Some insight into the coming FED meeting? 2. 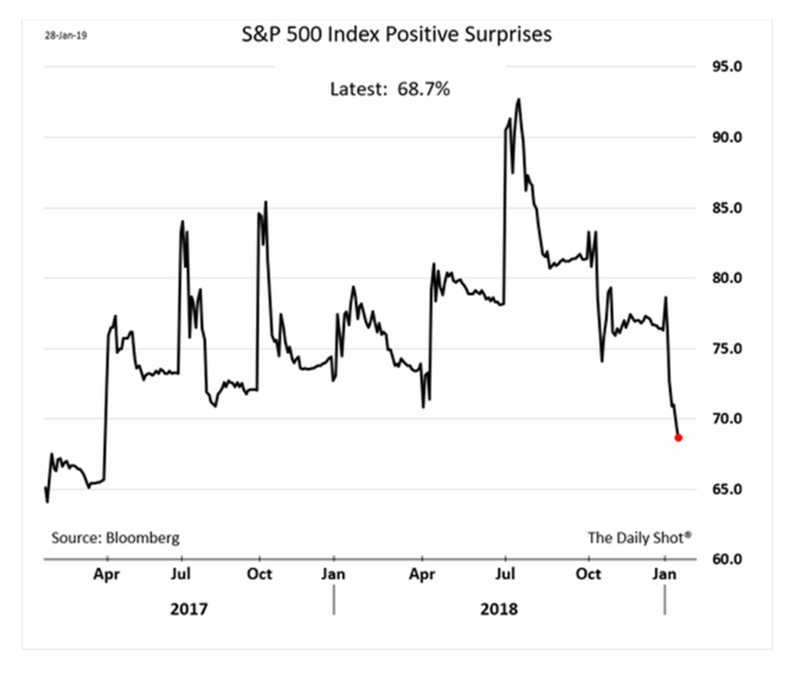 While the Government shutdown has been unsettling, regardless of the cause, the "soft" economic data has re-joined the "hard" economic data. 3. 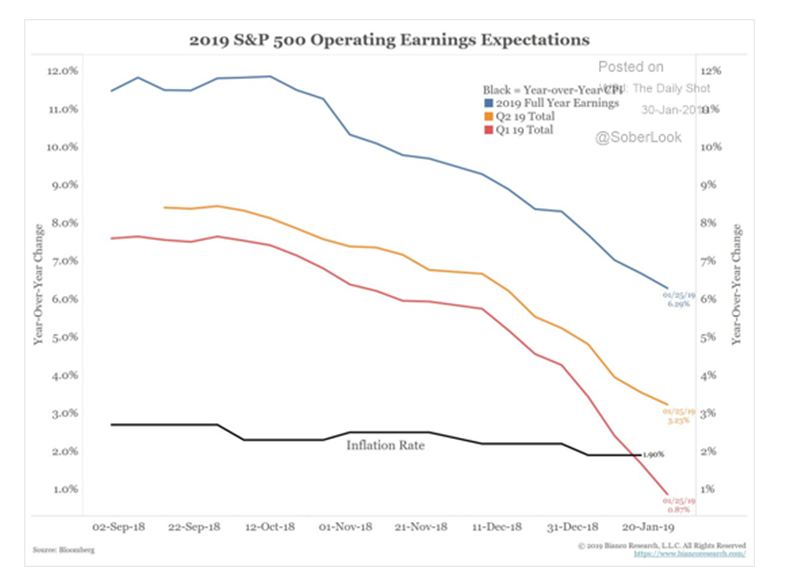 With positive earnings surprises down ~25%, negative misses from Caterpillar, NVIDIA, and even Intel may start to weigh more heavily on the markets. 6. 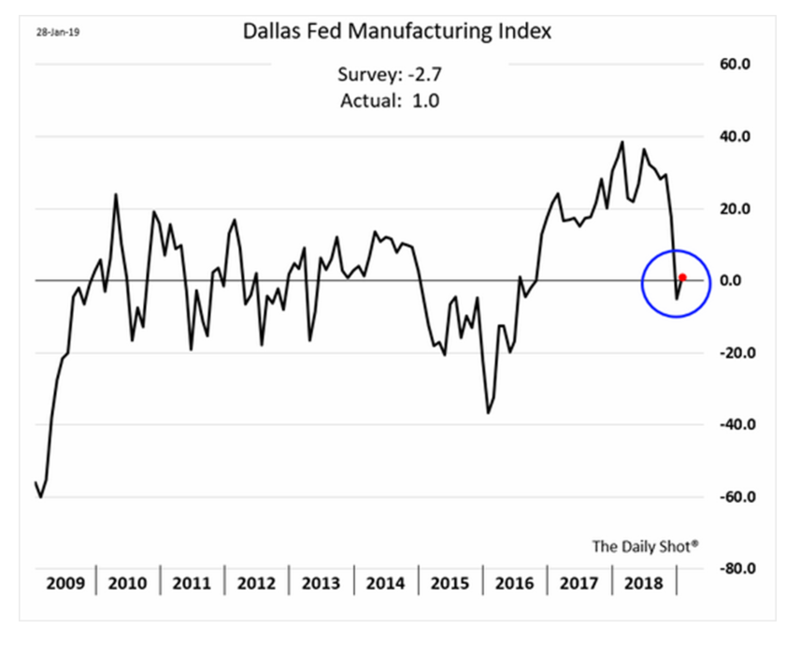 Some welcome news out of Dallas or at least a pause in the freefall. We suspect the 2019 oil price recovery has helped here. 7. 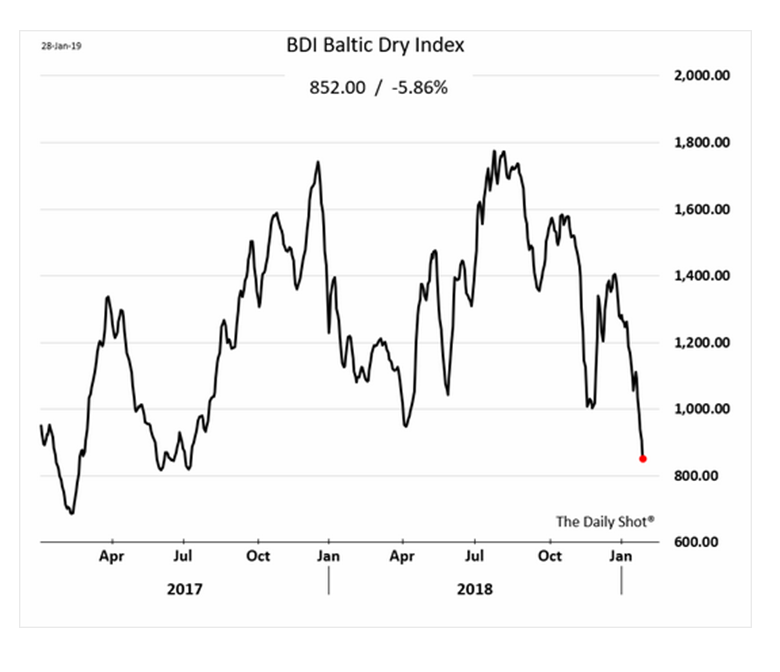 An old favorite...this index tracks the price of dry bulk ship carriers. Shipping demand has plummeted as global trade plummets. 9. Perhaps there is good reason...what is on their books? 10. If you think investing in 2018 was difficult...you were right. 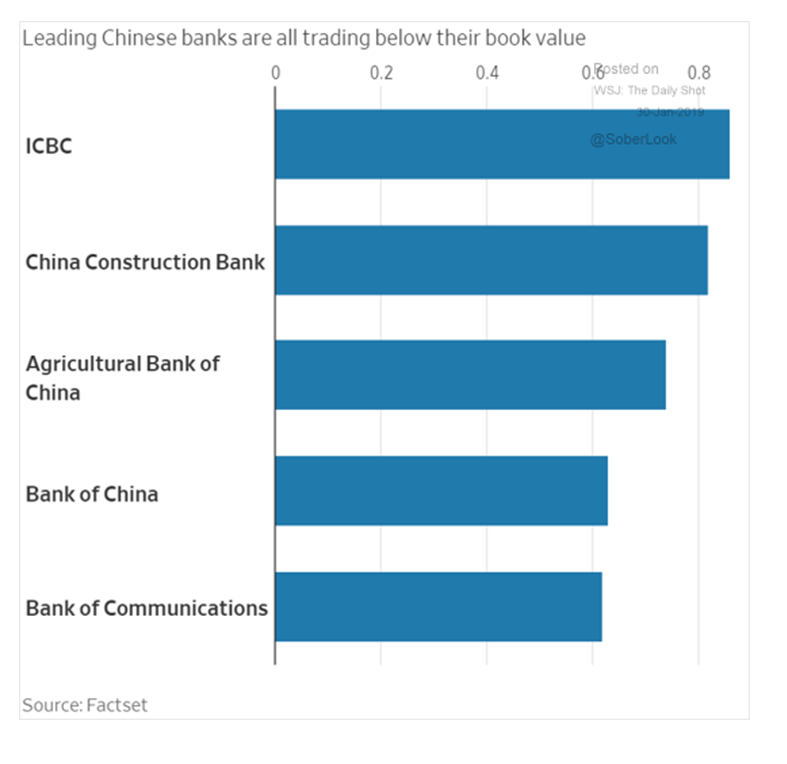 In fact, ~93% of all asset classes were flat or negative. 11. 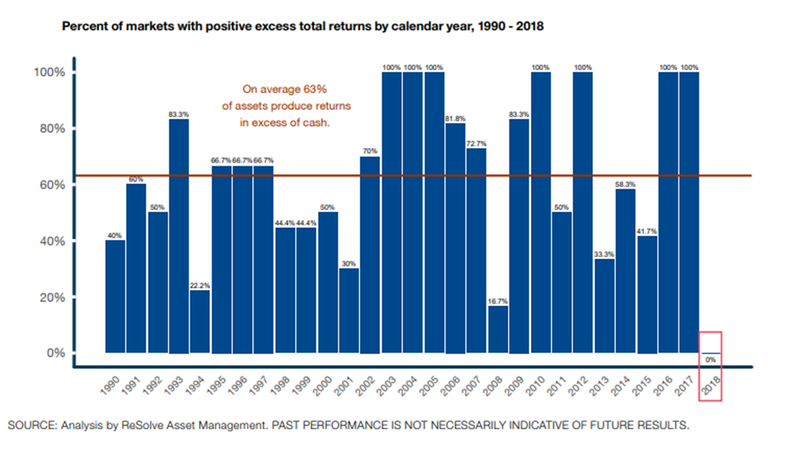 And these same markets gave zero excess return for the first time in 28 years! 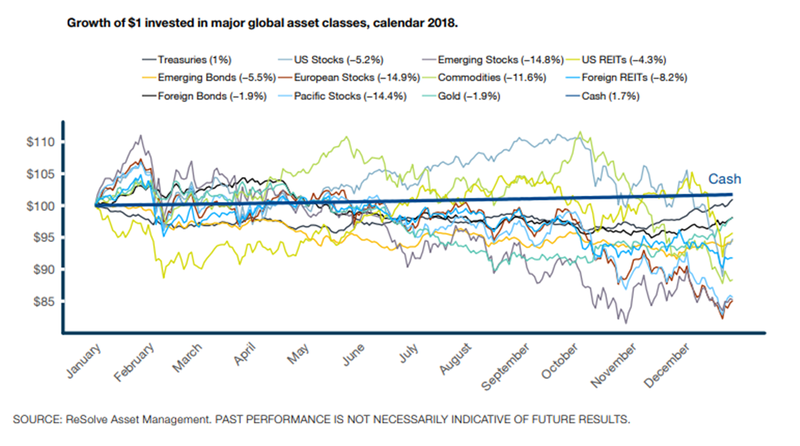 As you can see from the charts above, 2018 saw lots of volatility and little growth across major global asset classes. From what we've seen so far, 2019 has been no different. Recently, the market was rising and falling 2, 3, and 4% at a time. Read the BCM 4Q 18 Market Commentary for a debriefing on the last quarter, plus volatility insights and earnings we are tracking so far in 2019.